Click on a topic below for a brief description of its contents. This waterhammer tutorial looks at the subject from a different perspective than does my earlier one. Part 1 covers what? & why? while Part 2 looks the the causes and variables. See my August & September 2008 Pumps & Systems magazine articles for additional reading. This tutorial takes a look at cavitation from a different perspective. It expands upon my original turoral "Cavitation - A Largely Misunderstood Phenomenon. In "Centrifugal Farce & Affinity" we took a look at the affinity laws and showed how the predict pump performance when its speed changes or its impeller is trimmed. This tutorial goes a step further and describes the effect of these changes on pump efficiency. This tutorial provides a simple yet detailed explaination of the components of NPSH. It also discusses their relationship to cavitation in a centrifugal pump. See my May 2008 Pumps & Systems magazine article for additional reading. Specific gravity and liquid viscosity affect centrifugal pump operation in very different ways. This two part tutorial discusses the impact of each. Part 1 covers SG while Part 2 looks at Viscosity. See my March & April 2009 Pumps & Systems magazine articles for additional reading. The physics of liquid friction is still pretty sketchy. Unlike solid friction, velocity and surface area are major considerations. This tutorial compares these two forms of friction and goes into some detail about each. Centrifugal force is a farce! It is all about the velocity added by a pump's impeller. This tutorial dispells this myth and explains the relationship of velocity to the three affinity laws. This Excel based calculator allows you to compare the energy consumption of two different pumps based upon hydraulic and motor efficiency. It computes annual operating costs for both and the payback period for the more efficient system. See my March 2001 Pumps & Systems magazine article for additional information. This Excel based calculator allows you to compare the energy consumption of two pumps operating under different system conditions. It computes annual operating costs for both and the payback period for the more efficient system. The example included is for a pump that is pumping 600 GPM through 600 feet of 6" and 8" steel pipe. See my January 2012 Pumps & Systems article for information on this calculator. In the mid eighties, Igor Karassik wrote a three part series that described the problems associated with off BEP operation. Part 1 explores radial thrust and temperature rise while Part 2 looks at internal recirculation and air binding. Part 3 discusses discharge recirculation and discharge bypasses. All are written in a very understandable manner which is the goal of Pump Ed 101. These are scanned files and the resolution is not very good. In your Acrobat tool bar, increase the page size to 130% for an easier read. This tutorial explores the two most important preventive maintenance steps that influence pump and motor life. Part 1 looks at off BEP operation and outlines how to determine the "as built" operating point. Part 2 investigates current unbalance and the corrective measures that should be taken. Sometimes the flow and head of two pumps operating in paralle is not what we expect it to be. This tutorial takes a look at the performance of identical and dissimilar pumps and the effect of the system curve. Part 1 compares the pumps and Part 2 factors in the system curve. The pressure exerted by a colum of water depends upon its density and hight - - it has absolutely nothing to do with the its volume. In this tutorial we take a close look at this paradox and provide various examples that support Pascal's Principle. In this turorial we explain how a pipeline siphon works and provide several examples of how they can affect pump performance. Some pump curves are very steep while others are pretty flat. And, ofcourse there many inbetween. This turorial looks at how the shape of a performance curve can influence a pump's performance in a particular application. See my April 2010 Pumps & Systems article for a description of this calculator. There are times when pumps installed in lower flow applications need the ability to pass a full 3" spherical solid. Should you install a 4" pump and run to the left of the performance curve? Probably not. This tutoral provides several options that will enhance pump life. Vortex pumps have a bad reputation in the engineering community because of their low hydraulic efficiency. It turns out that their lower maintenance will often substantially reduce overall operating costs even though electrical costs may be slightly higher. This tutorial explains vortex action and provides several examples that show why this type of pump may be a better choice. PID Control - What, Why, How ? VFD Pump Selection - Frequency vs RPM ? This tutorial takes a different approach to pump selection for VFD operation. Part 1 addresses constant pressure / variable flow while Part 2 addresses variable pressure / variable flow. Part 3 adds an elevation or constant pressure component to variable pressure / variable flow. Back in the old days level control had nothing to do with saving energy. In fact it was often a necessary evil. With the advent of the VFD you may be able to achieve relatively constant flows and reduce the energy required. This tutorial investigates the possibilities. If the goal of your VFD application is to reduce energy consumption, you have to do a careful comparison between VFD and constant speed operation. This tutorial uses a constant pressure application to show you the proper way to do that comparison. VFD's can reduce energy consumption by allowing a pump to run at the duty point required by the system and it can change that duty point in real time. But they offer several other advantages that can often justify their use even if pump speed is not varied. This tutorial explores those other advantages. We all know that a VFD varies the frequency seen by an electric motor. That is how it varies the motor speed. But, did you know that it must also vary the voltage? If it did not, the magnetic field produced by the stator would become saturated and torque would become unreliable. This tutorial explains the volts / hertz relationship that must be maintained by the VFD. The vibration that occurs in a pumping system due to resonance is not a good thing. Resonance arrises when a variable speed pump reaches a critical speed. It turns out that the first or lowest critical speed can be easily calculated from simple data provided by the manufacturer. This tutorial explores resonant frequency and shows how to calculate the speed that causes it. PPPA provides both across the line and variable speed analysis of up to eight pumps running in parallel. See my December, 2013 Pumps & Systems article for a full description of its capabilities. The 2013 version of my field test calculator allows detailed testing of pumps in the field. There are four different tabs that directly address testing of above ground centrifugals (suction & discharge gauge method), submersible wastewater (discharge gauge method) and lineshaft turbines (discharge gauge method). After entering the required data the calculator will calculate velocity, velocity head, TDH, average voltage, average current, unbalanced voltage and current, water HP, test point HP, pump efficiency and the cost per 1000 gallons pumped. If multiple points are tested an H/Q test curve is generated automatically on page 3. All equations used for calculations are shown on the spreadsheet. Complete instructions are included. See my Jan 2011 and May 2014 Pumps & Systems articles for more information. This simple calculator allows you to enter the motor OD and casing ID for a submersible well pump application. It then calculates the flow velocity past the motor, the effective flow ID and the friction per motor foot. Draw Down is a common technique for evaluating wastewater pump performance. This simple, Excel program standardizes the measurement process and also calculates TDH. Both flow and TDH are required to evaluate pump performance and locate the operating point on the pump H/Q curve. Discharge velocity head is also calculated and included in the TDH calculation. See my December 2011 Pumps & Systems article for more information. The Drawdown combo calculator is designed for older wells that use a partition to accommodate both wet and dry pits in the same well. A drawing on the sheet explains their use. When pump speed is reduced, the required HP reduces as the cube of the change in speed. When a VFD reduces motor speed the available HP is also reduced. In cases where lower HP motors are used to run a pump at some maximum frequency, it is important to make sure that the HP available at that frequency is sufficienct. This calculator will show you the required vs available HP. See my January 2013 Pumps & Systems article for more information. There are many online friction calculators available but, there are times when you cannot go online to use them. Although not as comprehensive as some of the online versions, this calculator allows you to compute the friction for up to three piping segments. It also allows you to select the valves and fittings for each segment. This calculator allows you to compute lots of pump and motor stuff from catalog and field test data. On the pump side it computes specific speed, suction specific speed, min & max acceptable flow, actual pump efficiency and cost per 1000 gallons pumped just name a few. On the motor side it computes HP, torque, kVA, power cost per hour, voltage unbalance and current unbalance just to name a few. It also includes a simple pipe friction calculator. You will have to check it out to see the rest. This tutorial could be located under other categories because it applies to all rotating machinery. It compares the units of measure, used in a rotational environment, with their linear cousins. Hopefully it makes them a little more understandable. Rotational inertia is quite different than its linear cousin but there are times when we need to understand its relationship with torque. This tutorial investigates rotational inertia, compares it with linear inertia, and uses some simple examples to show the effects of its contributors. This two part tutorial attempts to make process control understandable. Part 1 takes a look at very simple control algorithms while Part 2 investigates the more complex PID control used in VFD applications. Also see "PID Control" under the Variable Speed section for another approach. This tutorial takes a detailed look at the cause and effects of PF. Part 1 (Electricity Behaving Badly) explains PF and it causes. Part 2 (Electricity Behaving Better) investigates potential fixes and shows their effect. The tutorials and topics presented here were developed over the past twenty years. Several were written for my own employees in an effort to further their understanding of the equipment and applications that were our life's blood. Others were written specifically for specifying engineers so that they could gain an unbiased understanding of different options. But, most were developed to provide information for the overall pump community. So far, they have been well received and I have shared them via one web site or another since 1997. Many emails from around the world have offered compliments, corrections, and suggestions. Please keep them coming. Some are short and simple -- "The Self Priming Pump", for example, gives a brief overview of self priming pumps and the applications for which they are intended. These will usually reference another tutorial for more detailed study. Others, like "AC Power", are far more detailed and present a thorough overview from generation to consumption. "Hertz" and "HPSA", on the other hand, are designed to be interactive learning and sizing tools. "Centrifugal Pump Dynamics" is html based and uses animations to get its points across. My "Pumps & Systems" magazine articles offer a short review of a broad range of pump, motor and control topics. Some of the "two part" articles, such as "Power Factor" provide an in depth review. The "Puzzler" is a totally different animal. It uses the findings of simple Physics to help explain some of the every day and, even more complex phenomena that we encounter in pumping applications. I developed the Puzzler as the basis for my weekly "lunch & learn" seminars that I presented to my employees. The beauty of the "Puzzler" is that it promotes learning rather than memorization. For example, why memorize a fact such as -- the head produced by a centrifugal pump changes as the square of a change in speed -- when the "falling body" equation shows you why? If you have questions or suggestions, please drop me an email. Have you ever wondered why the pressure of a fluid flowing in a pipe decreases as its velocity increases? Could it have something to do with why airplane's fly? Why does 115 volts plus 115 volts equal 230 volts in some cases, but only 208 volts in others? Doesn't the pressure that a liquid exerts have anything to do with its volume? When is a watt not a volt-amp? Is centrifugal force really a farce? How come liquid friction, but not solid friction, is affected by velocity and surface area? If you find these and other questions relating to pumps, motors, and electricity especially titillating, you are going to love the Puzzler. The Puzzler poses a pointed question, but that question is just the tip of the iceberg! The discussion that follows explores not only the question but also the physics surrounding it. The current Puzzler Series consists of more than forty brain teasers designed to expand your knowledge of mechanics, hydraulics, and electricity. The dowload button is below the titles. This short course is intended for the new comer to the centrifugal pump environment. It is also a good review for those who are a bit rusty. Topics covered include the performance curve, centrifugal force & peripheral velocity, series operation, parallel operation, the affinity laws, friction, specific gravity & viscosity, suction lift, and NPSH. It also references several "Puzzlers" for further study of specific topics. This tutorial will allow you to enter the realm of constant pressure and the booster systems that support it. It starts with a brief overview of the differential pressure booster and then takes a look at PRV controlled simplex, duplex, and triplex constant pressure systems. From there it moves on to VFD control and the advantages it can offer. Topics covered include tank vs tankless systems, sequencing, pressure vs flow control, and pump selection. If you are unfamiliar with the VFD, download "Variable Frequency 101" as you will need an understanding of their operation for the second half of this discussion. This brief overview discusses the advantages and limitations of self priming centrifugal pumps. 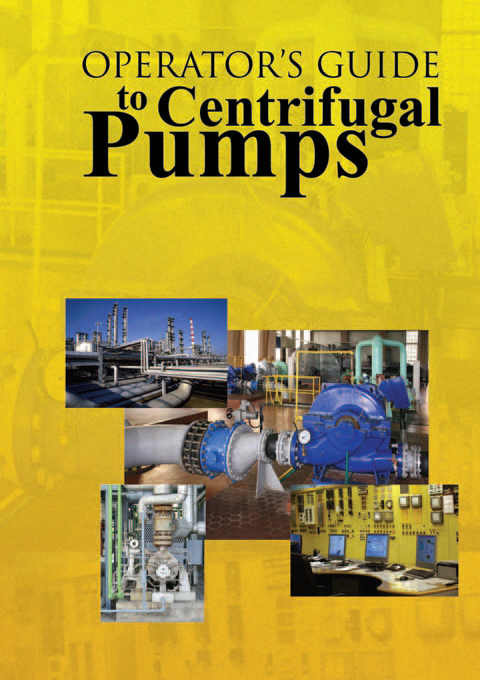 It also references a "Puzzler" for a more detailed understanding of centrifugal pump priming. This introduction is intended for those with little or no background in electric motors. It begins with the very basics including magnetism, direct current, and the operation of a simple DC motor. From there it moves on to alternating current, induction, and the operation of a simple AC motor. It concludes with a discussion of work, torque, and horsepower. It is an excellent primer for some of the electrical "Puzzlers". For a more comprehensive review of induction motors, see my five part series (March - July 2011) on the "Pumps & Systems Magazine Columns" page of PumpEd101. The major difference in single and three phase motors is that the single phase motor requires some sort of starting mechanism to get it rotating. This overview looks at four of the most popular starting (and two running) techniques and the pros and cons of each. It also includes a discussion of single and three phase rotational fields. It is aimed at the pump professional who works with single phase submersible wastewater pumps, well pumps, and small centrifugals. For a more comprehensive review of induction motors, see my five part series (March - July 2011) on the "Pumps & Systems Magazine Columns" page of PumpEd101. Why is AC power the standard in the US? What is the difference between single phase and three phase sine waves? Why does a voltmeter read 115V, 230V, or 460V when the actual voltage is quite a bit higher? How does a transformer work? What is the difference between Wye & Delta versions? Do resistive and inductive circuits behave differently? What is power factor and what does it have to do with reactance? How can capacitive reactance be used to correct the problems caused by inductive reactance? This short course is designed for the pump professional who wants to gain a basic understanding of AC power and its application to electric motors. See my June through September 2010 Pumps & Systems magazine articles for additional reading. Why not debunk some of those myths surrounding VFD's and learn how simple they really are. Did you know that they have been around, in one form or another, since the invention of the AC induction motor? This short introduction will help the pump professional gain an understanding of their inner workings, potential problems, and some of the applications for which they are well suited. Topics include: the relationship between frequency and motor windings (poles), Pulse Width Modulation (PWM) output, effective voltage, insulation stress, harmonics, bearing damage, and typical applications in the pumping environment. The resonant frequency of and object is the frequency at which it begins to vibrate of its own accord. In this demonstration, by the University of Michigan Physics Laboratory, sound waves are porduced at various frequencies and projected upon a wine glass. A strobe light allows us to view its vibrations and eventual shattering. Download "Variable Frequency 101" for a detailed explaination of resonant frequency and its potentially damaging effect upon pumps. Some manufacturers believe that filling a motor with oil is the only way to go while others think air to be a better solution (pun intended). This paper takes an honest look at these two popular submersible sewage pump motor designs and compares the advantages and disadvantages of each. Topics covered include motor efficiency, heat transfer, bearing lubrication, maintenance, and environmental concerns. This overview discusses the various impeller designs used in raw sewage pumping applications. Designs covered include the major members of the radial vane family, the vortex impeller, and the centrifugal screw. Topics include centrifugal impeller basics, design pros & cons, operational characteristics, and application selection criteria. During the past thirty years, low pressure grinder pump sewer systems have become a popular alternative to traditional gravity systems. The two basic pump designs, centrifugal and positive displacement, used in these systems are as different as night and day. This short article discusses the operating characteristics of centrifugal and positive displacement grinder pumps when installed in a pressure sewer system. Topics covered include pipeline velocity, unvarying vs dynamic flow, self limiting system pressure, operating power, and impeller / cutter design. Hertz is an Excel program that allows you to illustrate the laws of affinity, perform a design point calculation, and plot centrifugal pump performance curves as a function of frequency or RPM. It is named for the German physicist, Heinrich Hertz, who discovered the very low frequency electromagnetic radiation we now call radio waves. After many decades of cps (cycles per second) we are finally giving him credit. Directions for its use can be found at the bottom of the spread sheet. "Auto Plot" automatically plots the 60, 55, 50, 45, 40, 35 and 30hz performance curves (in feet and PSI) for the data you entered. You can also enter a system curve so that you can evaluate your selection. Instructions for custom plots are also included. VSPAnalysis is a comprehensive excel program that will allow you to view the operational characteristics of a centrifugal pump operating under VFD control and allows you to select the best pump for a particular application. It produces variable speed curves showing head, efficiency, horsepower, KW and cost per 1000 gallons pumped. It has complete instructions and a discription of the included example. For more information see my Jan 2011 Pumps & Systems magazine article. The standard version plots the variable frequency curves from 30-60hz in 5hz increments. "VSPAnalysys 2hz" plots the variable frequency curves from 40-60hz in 2hz increments. VFPPA is excel programs that allows you to view the operational characteristics of two or more centrifugal pumps operating under VFD control. It will help you determine the most efficient operating method (synchronous or individual speed control). It has complete instructions and a discription of the included example. For more information see my Oct 2010 Pumps & Systems magazine article. CPSA is an abbreviated and simpler version of Hertz but, also has some additional features. It plots a system curve and the 60 - 30 hz curves (in feet and PSI) for the pump selected. There is nothing else to muddle the picture and there is no need to scroll side to side or up and down. It also asks for the hydraulic efficiencies for each of the flow points and, in return, prints the HP required as "data lables" on each of the frequency curves. This allows you to quickly determine the power savings for an application using a given pump. VSPA-50 is an international version of CPSA. It plots a system curve and the 50 - 25 hz performance curves (in any unit of measure). It can accomodate up to eight H/Q points. If you enter the power requirement for each of the flow points for the 50hz curve, it will generate "power data lables" on each of the frequency curves. This allows you to quickly determine the power savings for an application using a given pump. See my May 2009 Pumps & Systems magazine article for additional information. VSPA-60 is an international version of CPSA. It plots a system curve and the 60 - 30 hz performance curves (in any unit of measure). It can accomodate up to eight H/Q points. If you enter the power requirement for each of the flow points for the 60hz curve, it will generate "power data lables" on each of the frequency curves. This allows you to quickly determine the power savings for an application using a given pump. See my May 2009 Pumps & Systems magazine article for additional information. The unbalanced radial thrust that arises in a single volute pump is lowest at or near BEP depending upon the Pump's Specific Speed (Ns). But as operation moves away from BEP (especially to the left) the net radial thrust increses quickly. Unbalanced radial thrust can cause increased shaft deflection which can lead to increased seal, bearing, and wear ring wear. In some cases it can cause the shaft to break. This calculator allows you to quickly calculate the radial thrust in PSI at any point on a pump's H/Q curve. See my Jan 2010 Pumps & Systems magazine article for additional information. articles on NPSH and Suction Specific Speed. You can read them at www.pump-zone.com. See my Feb 2010 Pumps & Systems magazine article for additional information. The calculators were updated on 3/31/11. Convert is a Windows based, desktop, conversion utility that is one of the most comprehensive I have run across. It allows you to convert just about any unit of measure to dozens of others. It also allows you to set up your own custom conversions. This tutorial goes into a fair amount of detail concerning the proper selection of booster pumps for VFD applications. It starts by comparing a PRV controlled booster with one under VFD control and then outlines five rules that should be followed during pump selection. It ends with examples of good and poor selections. Another discussion of this topic can be found in the "Pumps & Systems" section of this site. 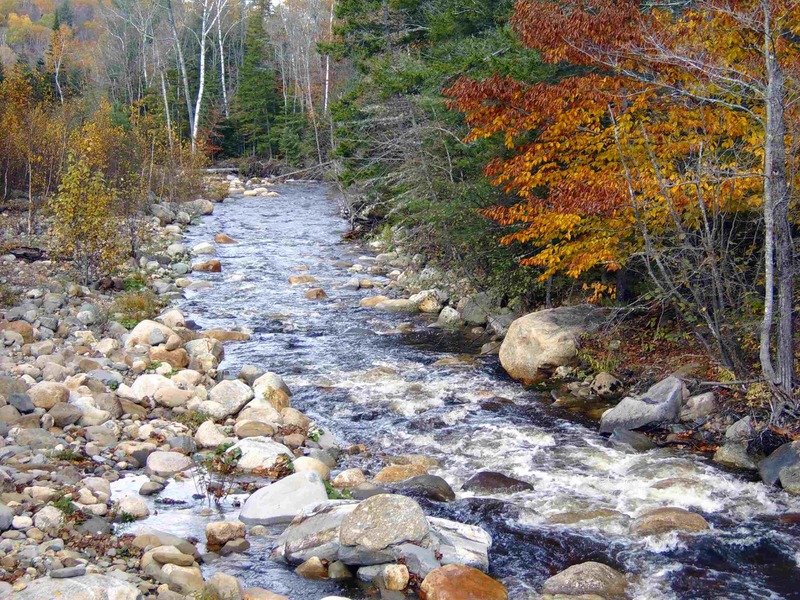 With this tutorial, we begin our discussion of applications that require varying flows but do not require constant pressure. Circulation is one of the more popular variable speed applications for many reasons. We begin with a discussion of closed loop applications, show a typical system curve, and then illustrate the pump curves used for single and variable speed operation. We then move on to open loop systems and provide similar information. Another discussion of this topic can be found in the "Pumps & Systems" section of this site. In this tutorial, we take a close look at waste water pump down applications and show how they can often benefit from conversion to level control. We begin with a discussion of wet and dry pit installations and show an example of the pumps used in pump down applications. We then show the same pump operating in a level control environment. We end with some guidelines on pump selection. Another discussion of this topic can be found in the "Pumps & Systems" section of this site. The TDH Calculator is a very simple visual that allows easy calculation of the TDH required for domestic submersible well pump applications. It breaks down TDH into six, individual components and illustrates their relationship both above and below ground. They are available as a PDF document or Excel spreadsheet. The Excel version performs interactive calculations. Lift Station Maintenance for the Complete Idiot - Steve Cottrell, Enco Southwest Inc.
Don't let the title offend you (Dummies was already taken). Steve's guide is written for that building maintenance guy who wakes up one morning and finds that he now has responsibility for a submersible lift station! It is simple, straight forward and will keep that station up and running. This Power Point presentation is designed for audiences with a "limited" knowledge of centrifugal pumps. It can be presented in as little as an hour or as a morning or afternoon class if you go into more detail. Use the script to guide you through the slide show. Don't have Power Point on your PC? No problem - - download the pdf version and show it as slides on a PP projector or TV monitor. As the title implies, this tutorial presents the basic mechanics and hydraulics of centrifugal pump operation. It begins by dispelling the myth of "centrifugal force" and shows that acceleration of a fluid is its sole purpose. It then moves on to a discussion of the pump "curve" and shows examples of series and parallel operation. It touches on specific gravity and why we typically rate pump performance in feet of head. We review the laws of affinity and illustrate them with a pump operating under VFD control. We finish with a discussion of suction conditions and liquid friction. The Wastewater Pump Selection Assistant is an excel program that allows you to evaluate a submersible or dry pit pump that will be used in a level control application. You can enter up to eight flow and head points from a 60 hz performance curve and then view its operating curves from 30 to 60 hz. If you enter a system curve and the "pump down" elevation you can also view the same pump operating in a pump down environment. Finally, if you enter the hydraulic efficiencies for each point, brake horsepower will be calculated automatically and displayed as "data labels" on each of the curves. Scroll down to the bottom of the spreadsheet for complete directions and notes on the example that is included. The goal of this tutorial is to help you gain a intuitive understanding of the cavitation process and its causes. I will leave its prevention to the many articles that already exist. Since boiling is the precursor to cavitation, we begin by taking a look at some of the properties of water and their role in the cavitation process. We then put NPSH into perspective and review some of the dynamics of centrifugal pump operation that also directly affect the process. We conclude with a discussion of the different types of centrifugal pump cavitation and the conditions that can cause them to occur. Another discussion of this topic can be found in the "Pumps & Systems" section of this site. 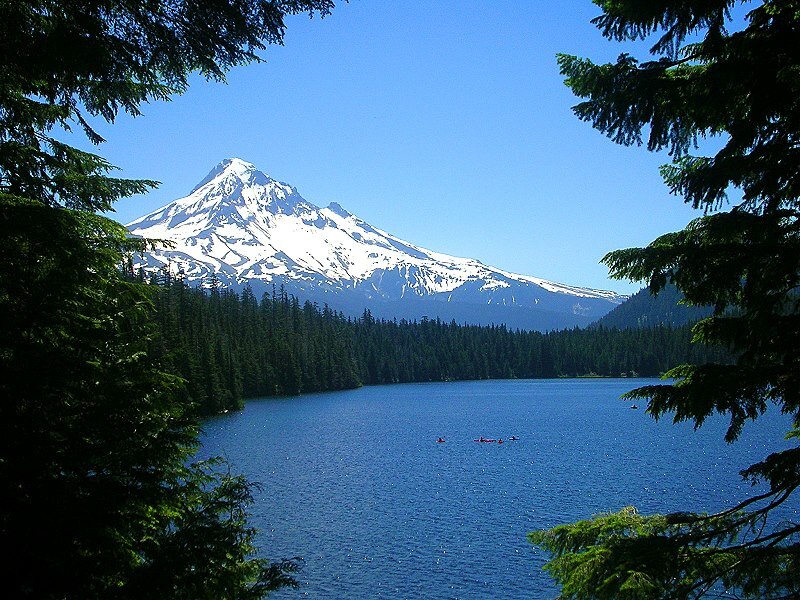 Joe Evans lives in beautiful Rhododendron Oregon and retired from PumpTech Inc on 12/31/15. Since entering graduate school, a continuing interest has been one of computer control of mechanical and electronic systems. It began with the introduction of the minicomputer, in the late sixties, and continued with the advent of the PC and PLC in the eighties and nineties. He accidentally entered the pump industry in 1986, and has been trapped there since. He is passionate about the sharing of knowledge and its ability to replace memorization with understanding. Click below if you would like to view a resume of his academic and professional experience. For a little history, click on the "Publications From a Previous Life" link which can be found in the VAST section of my home page. Ed Cowern received his BS in Electrical Engineering from MIT and is a district manager for Baldor. His clear and understandable technical papers on electricity and electric motors make them a very useful reference. Pueo Advanced Media offers web site development & hosting and is the brain child of my son Jamie. Whether you need a "plain Jane" site like mine (well maybe not quite as plain as mine) or something much more sophisticated, he can provide it at a reasonable cost. Hosting is also inexpensive and starts at under $ 7.00 per month. Click below and take a look at some of his work. And, I am sure that he would want to make it perfectly clear that he did not do mine (but he does host it). I have to take full responsibility for its "no frills" look. Math -- one of those four letter words that can bring on anxiety attacks. It is sad that such a useful science has gotten such a bad rap. But, quite frankly, you can blame it on the teachers for it is they who have missed this great opportunity. This short tutorial provides a brief history of calculus and gives some every day examples of why is still needed today -- even in the pump industry. It also takes a few jabs at our educational system for not doing a better job of presenting math in high school and college. But, most importantly, it promotes less complex math (algebra) as a component that can help us better understand basic hydraulics and mechanics. New comers to the pump industry are often unfamiliar with many of the three phase motor starting techniques that employed “pre-semiconductor” technology. Surprise - - most of them are still in use and will probably be here for some time to come. The primary purpose of alternative starting techniques is to reduce the system loading during starting. The typical AC induction motor has an inrush current, during starting, that is about five to seven times that of run current. Today, the VFD can provide a soft start and stop automatically just by ramping the input frequency. In the past it was not always that easy. This tutorial will review the most common methods of motor starting. There are many pump designs that fall into the positive displacement category but, for the most part, they can be nicely divided into two basic groups. The reciprocating group operates via pistons, plungers, or diaphragms while rotary pumps use gears, lobes, screws, vanes, and peristaltic action. Their common design thread is that energy is added to the pumped fluid only periodically where, in dynamic pumps, it is added continuously. See my September & October 2009 Pumps & Systems magazine articles for additional reading. Part 1 of this tutorial covers reciprocating designs while Part 2 deals with rotary units. In the mid 80's Viking Pump Company published a couple of very useful white papers for positive displacement pump users. AD-19 was all about NPSH while AD-6 covered pressure and vacuum. Both are available below in pdf format. I really had to think long and hard about putting this up on my web site. Hopefully you will never have to use it but, it can allow you to size a replacement end suction, centrifugal pump with a minimal amount of information. It uses something I call BEP sizing and includes several "family" curves that are made up of average BEP flows and heads from almost 400 individual pumps. If you decide to download this tutorial, use it carefully. the glaciers and runs through our community. The resulting pressure and flows obtained when identical pumps are operated in series or parallel can be intuitively obvious. But, when those pumps are not identical, our analog brains often need to see a graphical presentation of those results. The Series / Parallel Calculator is an Excel program that allows you to view the combined performance curves of identical and similar pumps when running in series and parallel installations. It also allows you to enter a system curve so that you can evaluate their performance. After you download and start the program, scroll down for detailed instructions and a description of the example that is included. I receive several emails each month asking why my VFD sizing programs (Hertz, Hertz VHF, HPSA, & PPSA) show the resulting curves in hz rather than RPM. This short paper explains my reasoning. In this tutorial, we will investigate several aspects of centrifugal pump efficiency. First I will define efficiency and give some examples. Next we will examine some of the design criteria that ultimately dictate the efficiency exhibited by a particular pump. We will also try to make that somewhat nebulas quantity, known as specific speed, more meaningful. I will also show its effect on the shape of a pump’s performance and power curves. Finally, we will discuss the importance of (or, sometimes, unimportance) of efficiency as it relates to a particular application or process. We will also illustrate the relationship of efficiency, head, and flow as they apply to both steep and flat performance curves and their roles in constant and variable speed applications. We will end with a brief look at the combined efficiency of a pump and its driver. For a more recent look at this topic see my Feb through July 2012 Pumps & Systems magazine articles. Most of us are familiar with the phenomenon known as waterhammer (water hammer) but few realize how destructive its force can be. Neither can we visualize some of the events that lead to its inception and those that occur afterwards. Did you know that waterhammer is a real life example of one of Physics' most fundamental laws? In this tutorial we will investigate both the cause and effect of waterhammer. We will also look at several methods of mitigating its damage and inception. Another discussion of this topic can be found in the "Pumps & Systems" section of this site. The recipie for Pump Ed 101's educational seminars and training is a simple one. Combine the subject matter with many years of hands on experience, a dash of simple physics, a bit of history, and a generous portion of practical examples. Stir well and sprinkle with interaction. The result is a learning experience for everyone involved, regardless of their prior knowledge of the subject. The seminars shown below have been presented to a wide range of audiences over the past twenty years. They are updated continuously and the current Power Point versions include lots of Java based animations that can often clarify many of those, otherwise, subtle points. My audiences include engineering firms, refineries, utilities, AWWA, WEF, MEA, NGWA, RWA, and other pump oriented organizations. Drop me an email if you are interested in an on site seminar or have questions. Click below to download the pdf that describes the seminars that are approved for CEU credits in Oregon, Washington & Idaho. Depending upon the acrediting agency, presentations must be a minimum of one or three hours. Half day seminars can be a mix of various one hour presentations. Seminars are sponsored by PumpTech and can be presented in Washington, Oregon, Idaho and parts of Montana. "Dynamics - the branch of mechanics that deals with the motion and equilibrium of systems under the action of forces related to motion." Well, no wonder you have never investigated this before - - it sounds pretty boring! But, believe or not, dynamics is actually quite interesting (and simple) and it is the key to understanding how centrifugal pumps work. This short tutorial will allow you to fully appreciate what goes on inside those pumps - - all the way from the inlet to the discharge. I have chosen the html format for this one so that I can take advantage of some imbedded animations and links to several other sites that will help us visualize what is going on. Make sure that Java and Flash are enabled. It is also available as a pdf document but you will not be able to take advantage of the animations. Enjoy! As you search the web for more information on variable frequency applications you might get the feeling that we have reentered the era of pre WWII. Some of the sites out there profess that VFD's have no rightful place in our society and that there is no pump application worthy of their use. Most of these opinions come from those who offer competing products and they will show a pump curve or power analysis that proves that their product can always do a better job. I have even read some tax payer sponsored research that goes way over the line. One concluded that magnetic coupling systems offer power savings similar to that of VFD's. This certainly may be true in some instances but, the data used in this particular study was so skewed even Enron would have been concerned ! The same thing can happen on the other side of the aisle - - but it is usually due to a lack of knowledge rather than deceit. Many of the VFD articles in the trade press tend to be written by VFD manufacturers. And, although they have some pretty smart people, most have a limited knowledge of pump applications. Therefore the examples given tend to be more theoretical than practical. Here is a good rule of thumb: no single application control technique will always be the best choice for a given application. If someone tells you that theirs is always best - - take them off your "favorites" list. In my variable frequency tutorials, I try to use pump curves that are more typical rather than one that is "perfect". This allows you to compare application results in a more realistic light. The P (proportional) in PID is not too frightening but, what about those other two letters? Are not the integral and derivative parts of that mathematics known as calculus? And, isn't calculus frightening? Well fear no more because this "layman's" discussion of PID control will help you understand what it is, why we use it, and how it works. We start with a discussion of open and closed loop control and give examples of each. We then move on to proportional control and the applications it supports. We end with a discussion of the integral and derivative functions and how they can temper the, sometimes, unruly nature of the proportional controller. Another discussion of this topic can be found in the "Pumps & Systems" section of this site. So, your waste water application will not lend itself to level control operation. Or, maybe you just prefer float switches over transducers and ultrasonic devices. Whatever the reason, VFS or variable fixed speed control might be a viable alternative to that pump down application. Today you can combine an inexpensive VFD with standard float switch technology and get a multispeed pumping system that can increase application flexibility and efficiency. This short tutorial takes a look at VFS control and how it compares to standard pump down applications. There can be times when we over estimate the flow expected during parallel operation of two non-clogs. SDSCA is an excel spread sheet that allows you to analyze the operation of the same non-clog running under simplex and duplex (parallel) operation. It will generate a system curve based upon the information entered and give you the head required at design flow. You can then enter the curve data for a selected pump and the simplex and duplex operational curves will be plotted against the system curve. Scroll down for detailed instructions. The data used in the example can be found under the "Notes" tab. Nov 2014 - Power Factor A Tale of Two Currents Part 3 Dec 2014 - Goodbye!! The work I did prior to 1986 was quite different than what I do today. I attended grad school (69 - 73) during an interesting era. The advent of the minicomputer in the late 60's and early 70's allowed us to accomplish things that were impossible for those before us. All of a sudden, data generated by scientific instruments (especially the gas chromatograph - mass spectrometer (GC-MS)) that used to take months to analyze provided results within days. Back then the typical minicomputer was the size of a filing cabinet and had 2 - 4 K of memory. Data storage was on paper tape or maybe mag tape if you were lucky. It was still the time of the slide rule and analog recorders and just comparing the area under two plotted curves could take hours. Much of our work on instrument automation was sponsored by NASA and the Robert A Welch Foundation. We were also chosen as one of the few labs to analyze the soil samples gathered by the first NASA Lunar Lander project. In 1973 I entered the army as captain and chief of the Air Chemistry Branch of the Army Environmental Hygiene Agency. This agency was the army's version of the EPA/NIH and its research was designed to protect our troops and reduce our impact on the environment. One of our major projects at the time was monitoring the detoxification and disposal of our WWII nerve gas stock pile at Rocky Mountain Arsenal (which, by the way, was stored for decades right at the end of the main runway of the old Denver airport). During my stay I continued my work on instrument automation and also the miniaturization of those instruments for use in the field. After leaving the army in 1975 I joined Finnigan Corporation, a major GC-MS developer and manufacturer of the era. I was in charge of the East Coast applications lab in Washington DC and later moved into the position of product manager. By the mid 70's the minicomputer had advanced substantially and this technology gave us the ability analyze the data provided by a GC-MS in real time - - not days. In 1977 I made the decision to move to Hawaii and, except for the University of Hawaii, there were no job opportunities that could make use of my past experience. Hawaii is a major union state and unfortunately this spilled over to the university and I doubted that I would fit in well in that environment. So, on a lark, I changed directions and took a position with IBM. Oddly enough, my minicomputer experience paid off and over the next five years I worked in industrial automation as well as distributed processing in the business community. One of our major accomplishments was the implementation of a on line directory assistance system at Hawaiian Telephone. It was a distributed processing system that consisted of three layers of minicomputers and fixed head disk drives that could perform searches as deep as nine levels of indent in seconds. The result was a directory assistance operator reduction of about two thirds which the union, of course, did not see this as a useful technological advance. Although it was nowhere near the speed of Google, it was lightning fast for its day. In 1983, the Queen's Medical Center (Hawaii's largest healthcare organization) offered me the position of VP of Information Services. I learned early on that accepting this job was a mistake as I was unaware of the politics and in fighting that went on in these "non-profit" organizations. Still, in less than three years we were able to take them to the forefront of the information age. We were the first company in Hawaii to employ personal computers instead of dumb terminals and we had our own "intranet" email system in early '84. Unfortunately continuing confrontations with the CEO (a psychiatrist who was having an affair with the head of nursing who had a striking resembalance to "Miss Piggy") led to my demise in late '85. In 1986 I accidentally fell into the pump industry. And, as most of you know, once you are in this industry it is hard to escape! Below are several papers that I published or took part in prior to that fall. This paper, published in Comparative Biochemistry & Physiology (Pergamon Press), was a result of the research performed for my masters thesis. It is co-authored by my advisor and two of my associates. The work was sponsored by the National Institutes of Health and the Robert A Welch Foundation. This paper, published in Analytical Chemistry (American Chemical Society), was a result of some of my doctorial research and follow on work done at the U.S. Army Environmental Hygene Agency. The program was the first to computerize the manual elemental analysis methods developed by Dr. Fred McLafferty at Cornell University. This paper, published in Environmental Science & Technology (American Chemical Society), was a result of my continuing work at the U.S. Army Environmental Hygene Agency. It discusses the ongoing micro-computerization and miniaturization of environmental monitoring instruments. It was co-authored by Jim Arnold of Varian Associates, a physicist and major contributor to technology advances in mass spectrometry and nuclear magnetic resonance (NMR) spectrometry (now known as magnetic resonance imaging (MRI) due to our ignorance and fear of that other "n" word). The mass spectrometer described in this paper was the predecessor of the one that was aboard the Mars Lander. Published in Finnigan Spectra (Finnigan Corporation), this article revisits the use of Program ELAL and introduces a new program known as FINL (fragment ion and neutral loss analysis). FINL automated another manual elemental analysis methodology that was developed by McLafferty at Cornell University. In 1983 I left IBM and assumed the position of VP of Information Services at The Queen's Medical Center in Honolulu. One of the first things that we did was to initiate a news letter to keep the employees of our almost 150 departments up to date on what we were doing. This is the first issue. In late '83 we entered into an agreement with Management Science America (MSA) to install their GL, AP, and Payroll/Personnel systems and their "Peachpak" interactive PC products. This article highlights our accomplishments over a period of just one year. In 1985, "Today's Office" (Hearst Business Publications) selected Queen's as one of the nation's leader's in office automation and asked me to write an article outlining what we had done to get there. This was my last non-pump article! Pump Calcs is a web site that offers a number of very useful calculators and conversion utilities. It is sponsored by Pumps & Systems magazine. My nephew Hugh and his wife Elvira own and operate a very different vacation rental outside Pahoa, on the Big Island of Hawaii, just 25 miles north of the Volcanos National Park. It offers ocean views in a truly rual environment. In this area of the island, lava pools and black sand beaches rim the coast but just a few yards inland it becomes a beautiful forest. They have several different units that can accomodate from two to fifteen people and will even provide three meals a day if you wish. The rates - - outrageously inexpensive! The picture below is of the Ohana House. For more information and a tour of the grounds, click on their web site link below. the link below to review the topics covered. In 2010, I began a quarterly newsletter for my employer PumpTech. Pdf versions are available below. In addition to featuring our products and packaged systems, it also has lots of pump related info. If you use full screen mode in Acrobat you can use the page links to move through the document. If you would like to subscribe to the email version, click on the email link below and send us your name, company and preferred email address. Chick on the links below to download the brochures & data sheets for several PumpTech packaged systems. My stepdaughter, Laine, and her friend Jody own a very unique business down in Grants Pass Oregon. They handcraft the most delicious finishing salts that I have ever tasted. 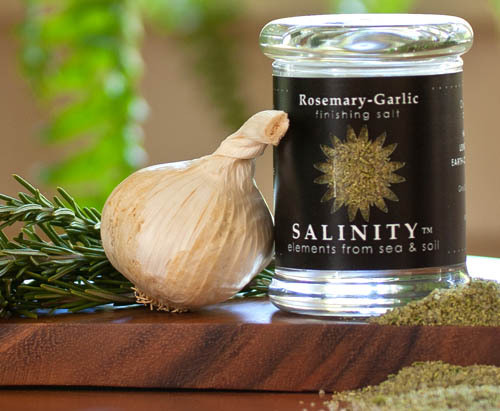 They combine the finest grey sea salt with organically grown herbs and spices to create a unique end to any of your favorite dishes. The herbs and spices are all grown locally with one exception. The ginger comes from my nephew Hugh's organic ginger farm on the Big Island of Hawaii ! Click on the link below to learn more and order online.